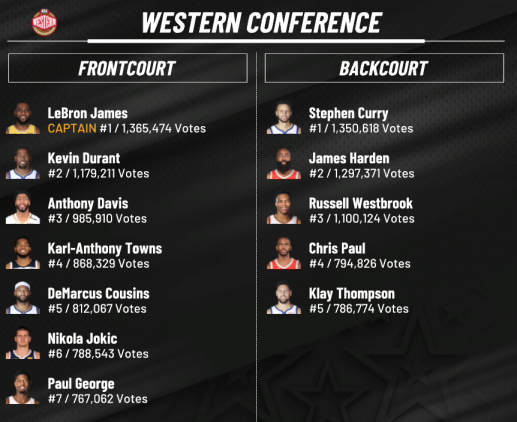 There are the big Westbrook numbers! Fine start to the season. We choked this one massively. They ended the game on 20-2 run. Not really sure why I couldn't score late on. Maybe it's because I noticed Westbrook was 1 steal away from a quadruple-double and that distracted me. 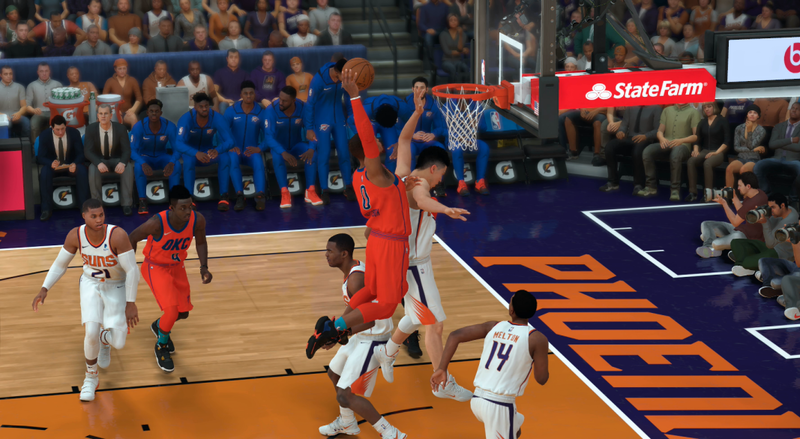 Either way, I just couldn't stop Booker or Ayton from scoring in the fourth. So close to that rare mark! 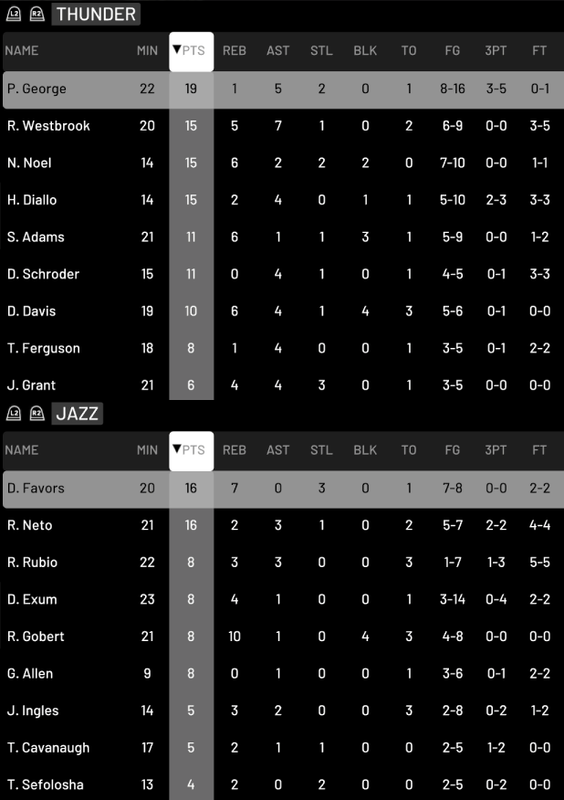 Shame about the loss, Booker and Ayton certainly did do some damage for the Suns. 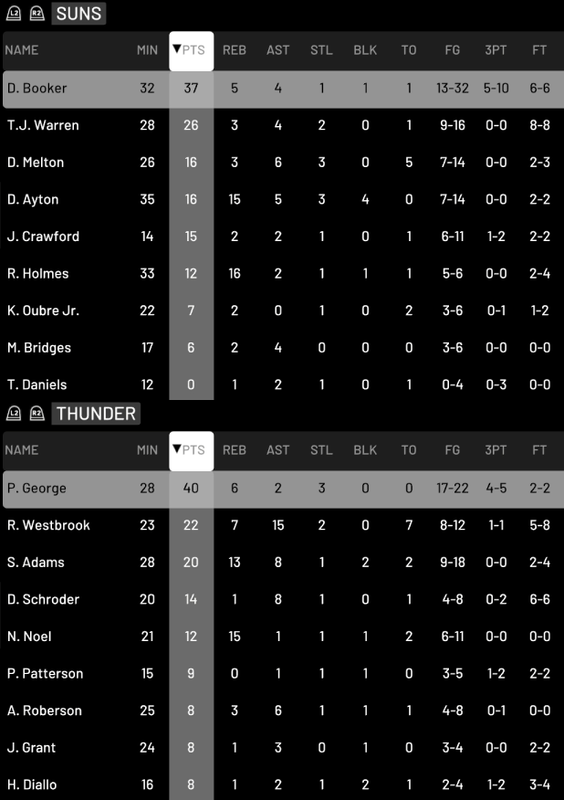 Rough night for PG-13 shooting the ball probably didn't help stop the bleeding in the fourth. I went back to all-star difficulty for this game after the collapse in the last game. Things went well in the first half and we led by 16. But then they gradually caught up in the second half. Then I made a dumb error right at the end. 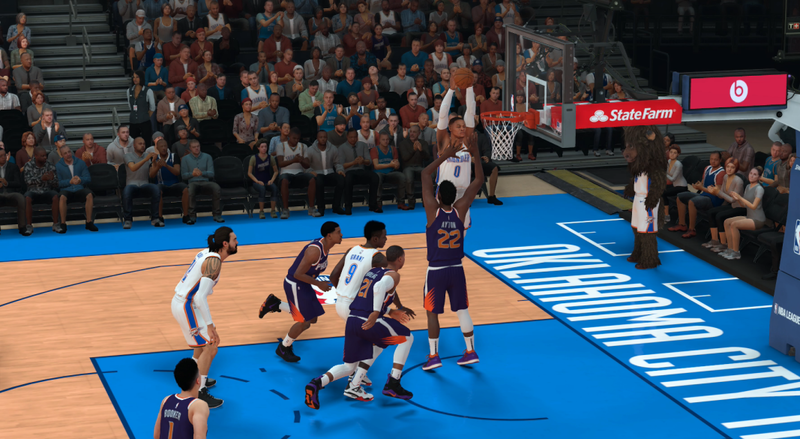 Booker made the technical free throw and then two more after I fouled him. So we were down by 3 with 2 seconds left. 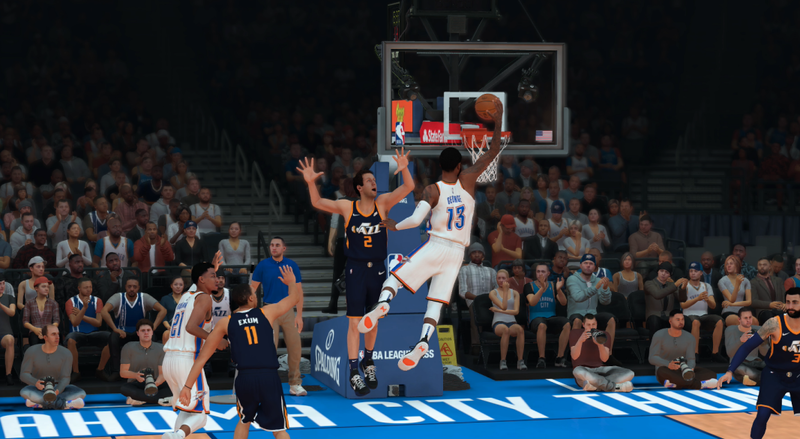 Roberson lobbed it up to Paul George and he heaved up a three on the buzzer to tie the game! 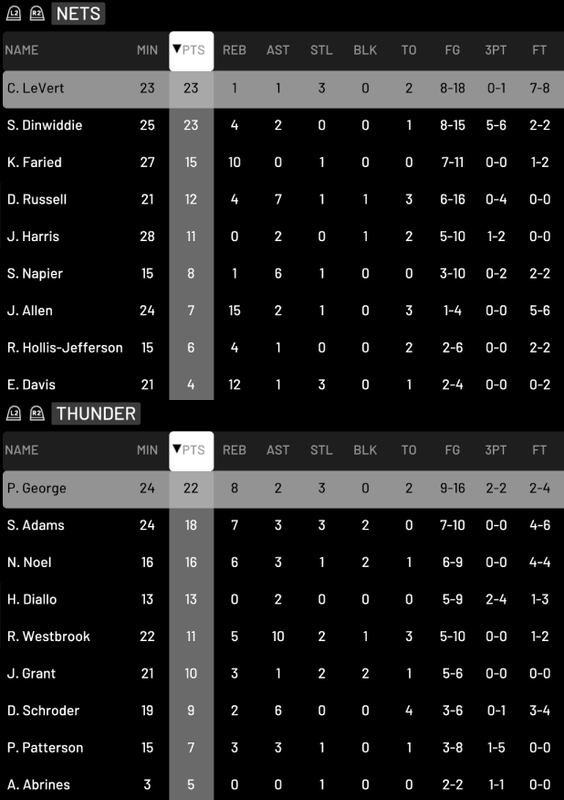 We controlled overtime with George coming up clutch a few more times, after Westbrook fouled out a few seconds into overtime. A lucky escape! Andrew wrote: So close to that rare mark! 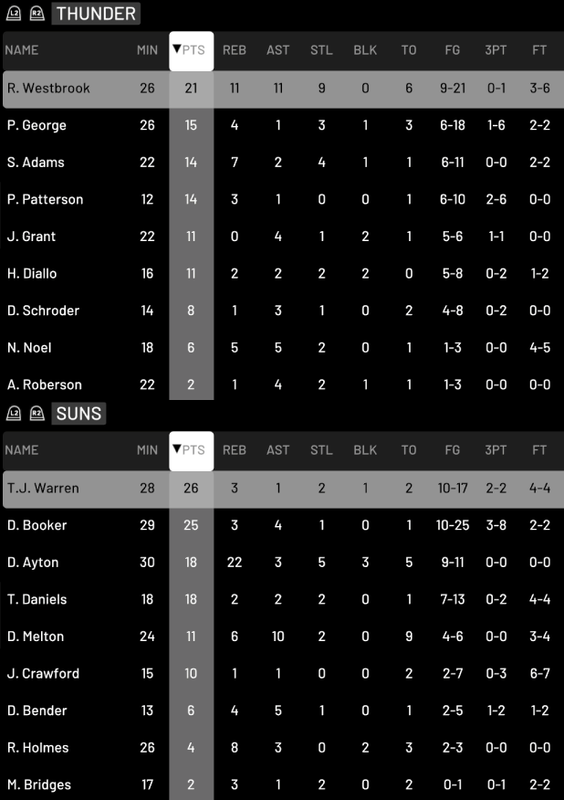 Shame about the loss, Booker and Ayton certainly did do some damage for the Suns. 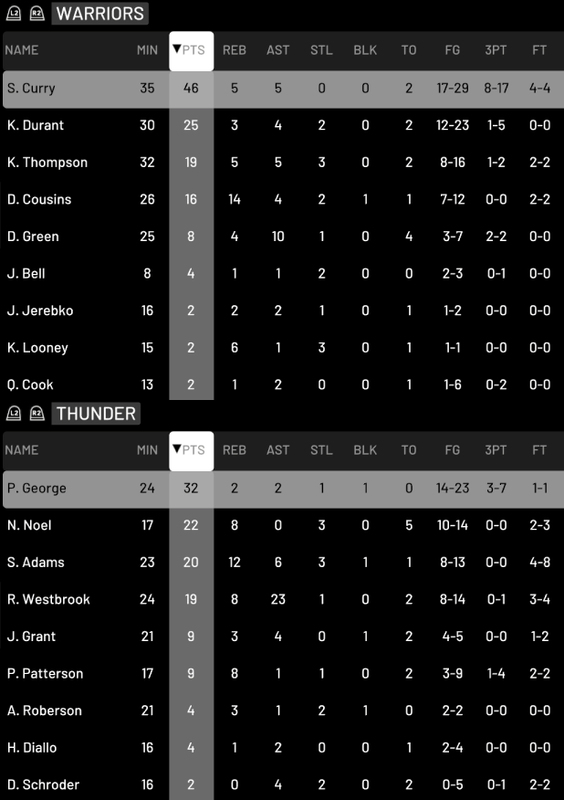 Rough night for PG-13 shooting the ball probably didn't help stop the bleeding in the fourth. 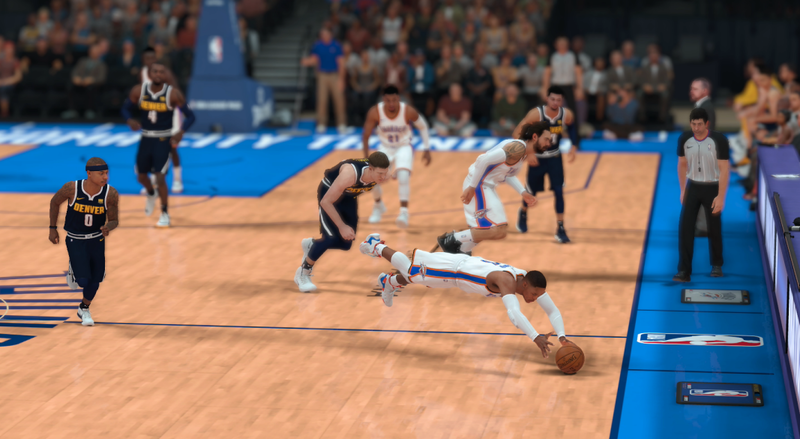 Apparently superstar difficulty doesn't like attempted stat-padding I was probably too distracted trying to get that last steal to close out the game properly. Normally I wouldn't have bothered, but like you said a quadruple-double is so rare that I had to try. I'd say it all worked out for the best as far as the story is concerned; redemption is something we can all enjoy, and the blunder just made things more exciting at the end of the day. Did the commentary reference your error? Better yet, was Chris Webber randomly one of the commentators? They didn't directly mention having no time-outs left, but they did say it was a bad time to get a technical. I'd have to agree with them. If ever there's a time to have some scenario-specific lines, it would be then! Westbrook had an incredible first half with 16p/6r/15a and only 1 turnover. The final score flattered us to be honest. They were always in control. Andrew wrote: If ever there's a time to have some scenario-specific lines, it would be then! When you have 15 or so assists in the first half, that's when you know it's going to be a big night dropping dimes. 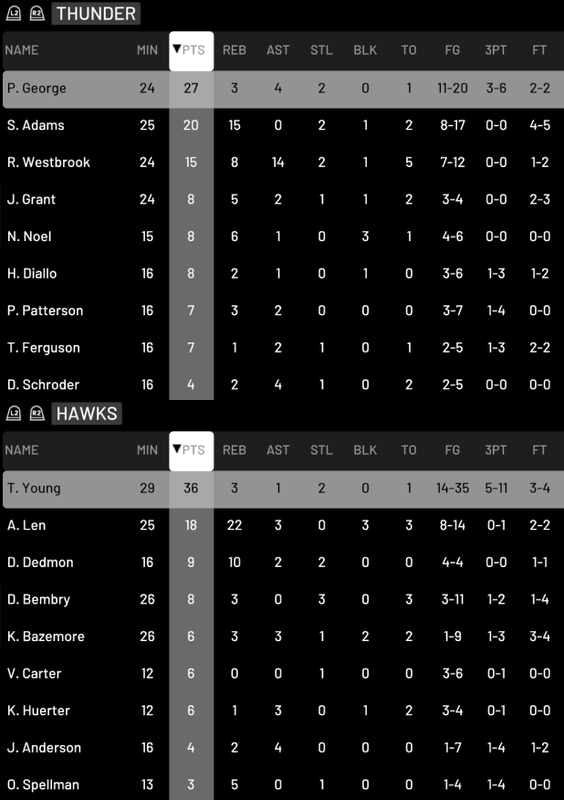 That's how I've racked up my 35, 32, and 31 assist games in MyCAREER this year. Andrew wrote: When you have 15 or so assists in the first half, that's when you know it's going to be a big night dropping dimes. 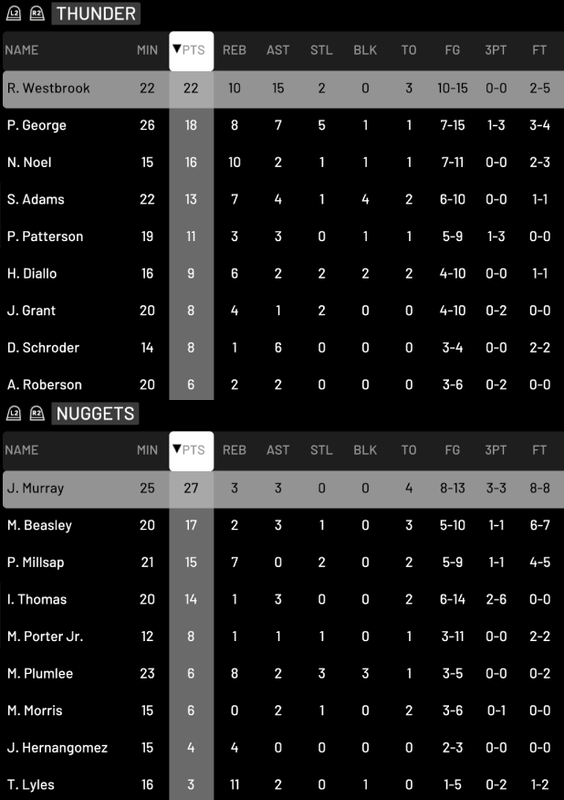 That's how I've racked up my 35, 32, and 31 assist games in MyCAREER this year. 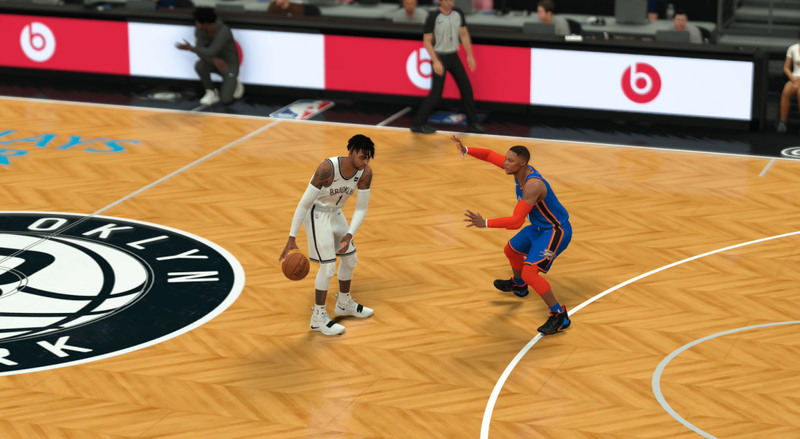 I think my best ever is 31 with Derrick Rose back on Live 10. 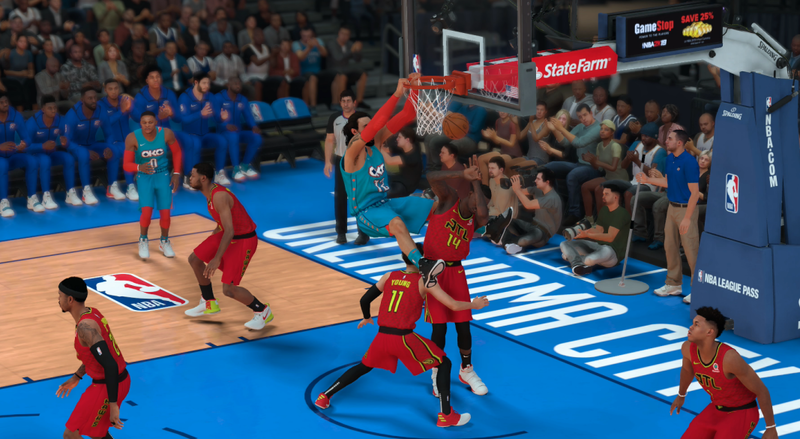 I'm sure I could reach that mark again with Westbrook if I really tried though. I like my dimes! It does arguably take a little bit of forcing, though. Meanwhile, cool to see Westbrook picking up another triple-double in the win. Lol, I had the excessive timeouts thing happen to me in an online game. cavs4872 wrote: Lol, I had the excessive timeouts thing happen to me in an online game. Luckily I had possession and some time to fix my error. Great start so far. 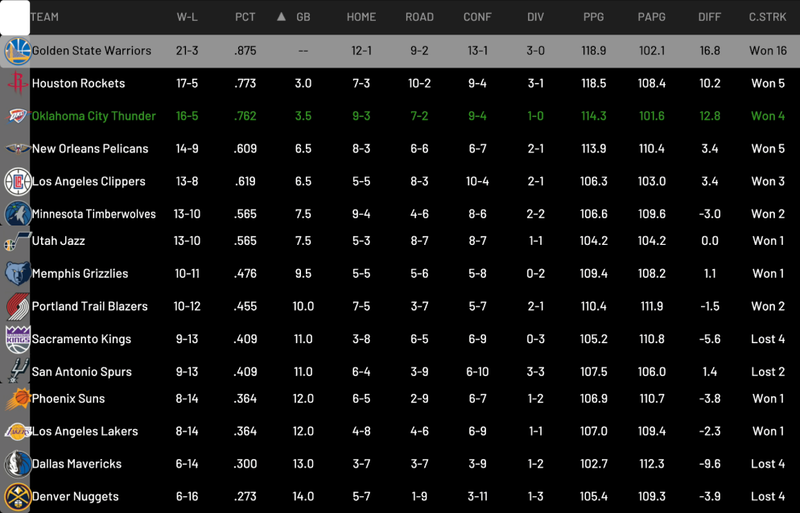 Warriors and Rockets are going to be a challenge. 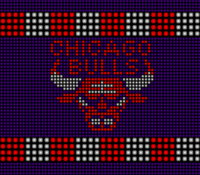 Andrew wrote: Great start so far. 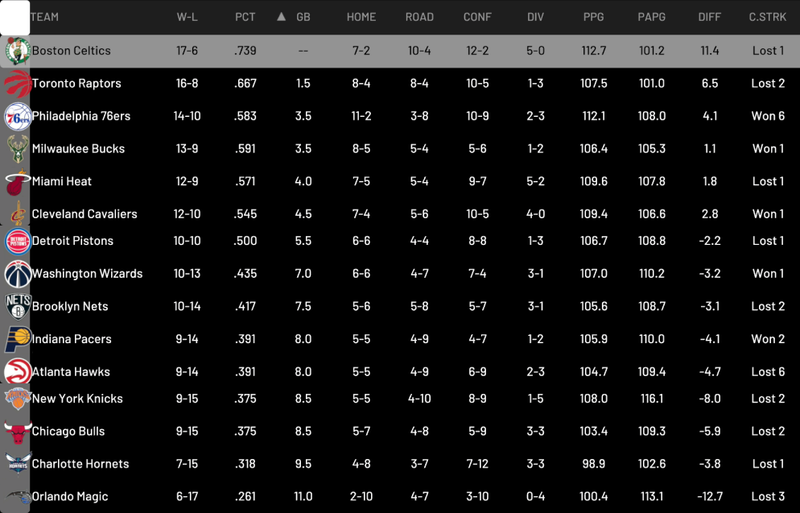 Warriors and Rockets are going to be a challenge. Yep. 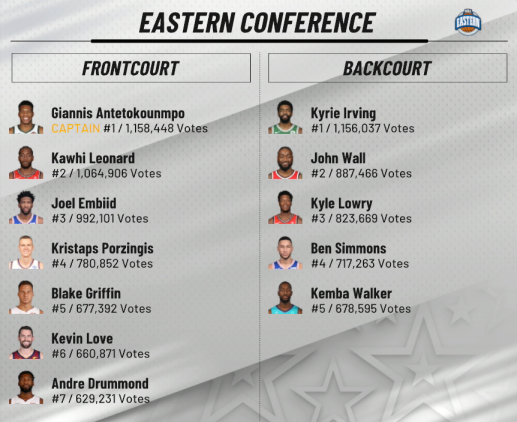 Adding Cousins has made Golden State even more ridiculous to play against on 2k. Can't see anyone beating them to the title. 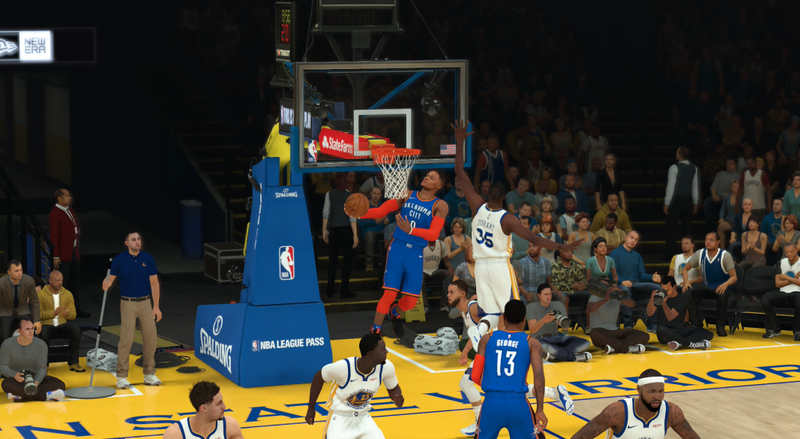 I just beat the Warriors in Year 1 of MyCAREER. I swept them, but they put up a pretty good fight for much of each game. Cousins definitely does make them tougher. Andrew wrote: I just beat the Warriors in Year 1 of MyCAREER. I swept them, but they put up a pretty good fight for much of each game. Cousins definitely does make them tougher. Luckily Cousins will be a free agent this off-season. It wouldn't be unrealistic for him to collect a ring and then go looking for a big payday. I'm sure a lot of teams will be offering him one. Yeah, I wouldn't be surprised if he moves on, on the virtual hardwood and in real life. It was a very weird beginning to the game. We started with a 14-0 run, then they went on their own 10-0 run.